Vince King is the Owner and Broker of Iowa Land and Home Specialists. He was born and raised in Burlington, Iowa and a life-long resident of Southeast Ia. Vince attended Wartburg College where he obtained his degree in Education and played football. After college he came back to Burlington to teach and coach football at Burlington High School. After a few years teaching, Vince realized his true passion was in the outdoors and Real Estate. 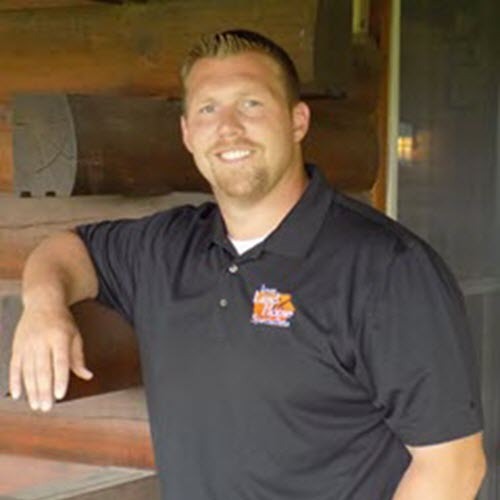 Vince started selling real estate in 2006 and along the way has become a licensed residential Appraiser, licensed Auctioneer, and opening Iowa Land and Home Specialists here in Mediapolis in October of 2014. Since opening its doors Iowa Land and Home has sold thousands of acres and many residential homes and we have added several great and experienced sales agents to the sales team. With sales agents specializing in all aspects of the Real Estate spectrum you can be assured that no matter what your Real Estate need or problem is, Iowa Land and Home has someone that will be able to assist you. You can contact Vince King directly at vinceking96@gmail.com or by phone at 319-850-3315.